Eve WinterFest is Salt Lake&apos;s biggest New Years&apos; Eve party, drawing 40,000 plus attendees. Locals mix with vacationing skiers and boarders at this community event, which costs just $20 for a three-day pass that includes access to a dozen venues downtown, from a Utah Jazz game to museums, comedy shows, movies, and more. 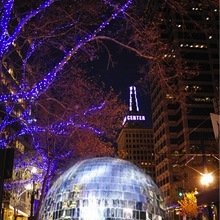 This year Salt Lake will become Disco City for a night and change things up with a clean-air alternative to fireworks: the largest disco ball in the U.S. A 20-foot-wide ball will be suspended over downtown on December 31st, and will feature lasers and lights to ring in the New Year in a unique way. 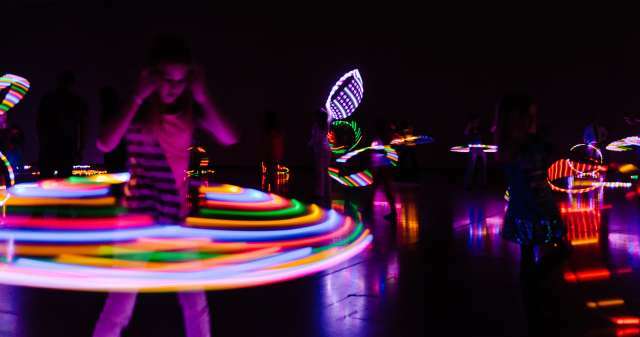 An ambitious art installation of this size and scale would illuminate the city with an awesome light show, and it&apos;ll be unlike anything you&apos;ve ever seen. When asked why EVE WinterFest decided to swap fireworks with a disco ball, Nick Como responded "Fireworks are easy—anyone can do them. But a record-breaking disco ball that&apos;s 20 feet wide? Now, that&apos;s awesome. Add in some laser beams, and everyone from John Travolta to Dr. Evil would be ready to bust a move on New Years EVE in SLC." One thing is for sure: you’ll have the best ski vacation story when you return from Salt Lake (aka Ski City.) Deep powder and disco? We can’t think of a better pairing. Contribute to or learn more about the project here.